After having bestowed upon us a brief sneak peak a few months back, Warner Brothers are finally going full throttle with the release of the jam packed Suice Squad trailer! 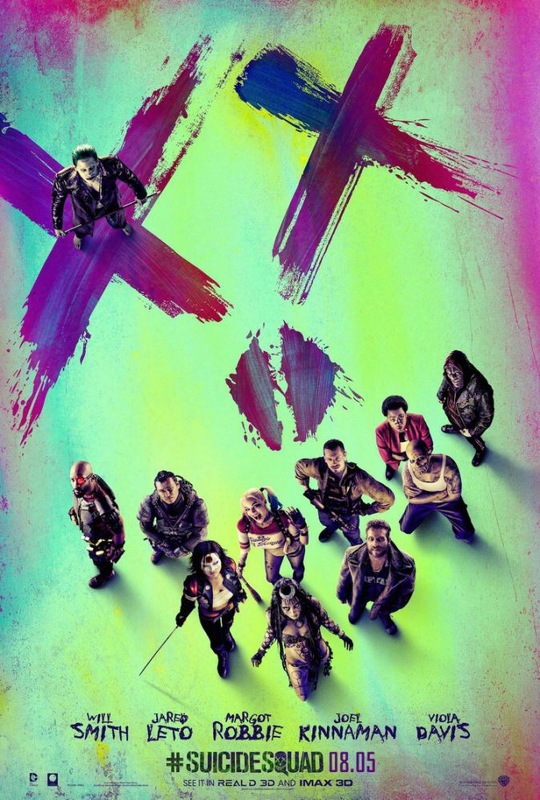 The film, written and directed by David Ayer, tells the story of a secret government agency who recruit a group of imprisoned super villains to execute a dangerous black ops mission in exchange for their freedom. The trailer gives us a brief glimpse and description of each character, while rock n roll music and action heavy scenes are played out. The best is saved for last evidently, in the form of the anticipated Joker played by Jared Leto. The film also stars Will Smith, Margo Robbie, Viola Davis, Jai Courtney and Cara Delevigne. Check out the trailer and posters below and stay tune for updates as they come. Posted in Film and tagged badass, batman, batman vs superman, blockbuster, blogger, cara delevigne, comic-con, comics, dc, dc comics, dc universe, Fashion, film, hollywood, jai courtney, margo robbie, Menswear, model, movies, new, oliver ouest, pop culture, suicice squad, superhero, superheroes, trailer, trailers. Bookmark the permalink.